The administration of Trump current rules for a US visa program extensively utilized for tech workers is getting particular praise from Silicon Valley in the growing demand for high-skill workers. 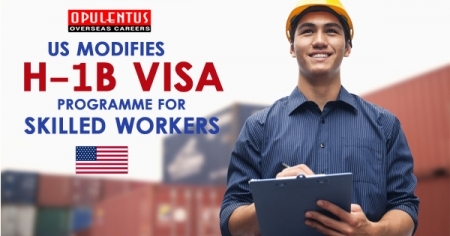 The H-1B visa programme, which allows some 85,000 global nationals each year, will provide greater priority to individuals with postgraduate degrees from the universities of US, below the last rule, announced in Jan by the Homeland Security Department. US companies seeking to hire international workers with a US master's or greater degree will have a higher selection chance in the H-1B lottery below the current rule, told US Citizenship and Immigration Services director, Francis Cissna, in declaring the modification on Jan 30. The reforms come with the technology industry pleading for higher immigrants to fill important skilled jobs and answer in part of concerns that the visa program has been utilized by few tech giants and outsourcing firms to lower wages and replace employees of the US. The H-1B visa program, in place since the year 1990, has been utilized for several skilled professions including pastry chefs and nurses, but in current years 2/3rds have been for computer-related positions, and 3/4th of the workers have arrived from India. Because visa holders can live up to 06 years, the number presently living in the USA is measured at higher than half a million. The current DHS rule shifts the two lotteries order for H-1B visas, by choosing the initial 65,000 from the all applications pool, and consequently picking 20,000 with advanced degrees. Executives assume this will mean an increment of some 5,000, or 16%, for advanced degree-holders. The reform sends a subtle message to immigrants who have been dropping their admission in universities of the US and who were thinking uncertainty about Donald Trump was going to do.